Some links to websites that discuss the life of Galois. 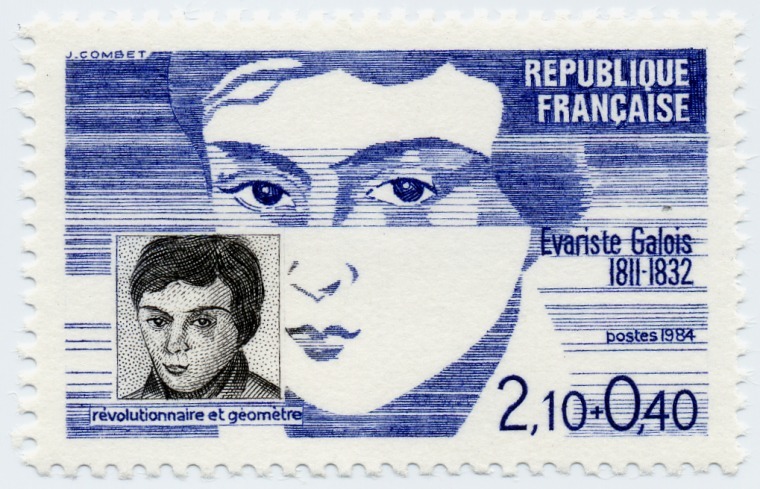 Genius and Biographers: The Fictionalization of Evariste Galois (Original version published in American Mathematical Monthly, 89, 84 (1982). Winner Ford Writing Award). 27 page article crtiquing other biographies of Galois, particularly the most well know, the chapter about him in Men of Mathematics by E. T. Bell, a copy of which can be found in the Math Lounge. There is a link to a condensed version of Bell's account lower on this page. "The investigations of Galois discussed here have told us less about the man than about his biographers. The misfortune is that the biographers have been scientists. Because they appreciate his genius a century after its undisputed establishment, anyone who did not recognize it at the time is condemned. 'In all the history of science,' writes Bell, 'there is no completer example of the triumph of crass stupidity over untamable genius.' 'Is it possible to avoid the obvious conclusion,' asks Infeld, 'that the regime of Louis-Philippe was responsible for the early death of one of the greatest scientists who ever lived?' The underlying assumption is apparent: Galois was persecuted because he was a genius and all scientists, to a greater or lesser degree, understand that genius is not tolerated by mediocrity. A genius must be recognized as such even when standing drunk at a banquet table with a dagger in his hand. Anyone who does not recognize him becomes a fool, an assassin or a prostitute. This is a presumption of the highest arrogance. Scientists should not be so enamored of themselves." "Whatever the reasons behind the duel, Galois was so convinced of his impending death that he stayed up all night writing letters to his Republican friends and composing what would become his mathematical testament, the famous letter to Auguste Chevalier outlining his ideas. Hermann Weyl, one of the greatest mathematicians of the 20th century, said of this testament, "This letter, if judged by the novelty and profundity of ideas it contains, is perhaps the most substantial piece of writing in the whole literature of mankind." However, the legend of Galois pouring his mathematical thoughts onto paper the night before he died seems to have been exaggerated. In these final papers he outlined the rough edges of some work he had been doing in analysis and annotated a copy of the manuscript submitted to the academy and other papers." "Galois was wounded in the duel and was abandoned by d'Herbinville and his own seconds and found by a peasant. He died in Cochin hospital on 31 May and his funeral was held on 2 June. It was the focus for a Republican rally and riots followed which lasted for several days. 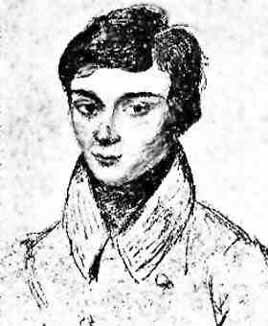 Galois' brother and his friend Chevalier copied his mathematical papers and sent them to Gauss, Jacobi and others. It had been Galois' wish that Jacobi and Gauss should give their opinions on his work. No record exists of any comment these men made. However the papers reached Liouville who, in September 1843, announced to the Academy that he had found in Galois' papers a concise solution. ...as correct as it is deep of this lovely problem: Given an irreducible equation of prime degree, decide whether or not it is soluble by radicals. Liouville published these papers of Galois in his Journal in 1846. " 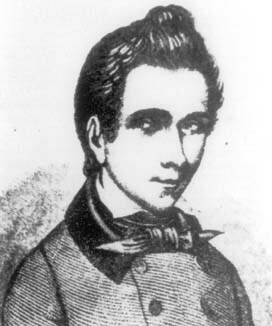 "Just a few days after the unexpected death of his father, Galois took the the entrance examination to the École Polytechnique for the second time. It became a legend in the history of mathematics. He was aware that a refusal would be final this time, if he would flunk again. The examiners, though being recognized mathematicians, were not capable of detecting the mathematical genius of Evariste Galois. One of the two examiners asked the fatal question: He should describe the theory of the arithmetic logarithms. Galois criticized immediately the question, and mentioned to professor Dinet that there are no arithmetic logarithms. Why didn't he simply ask for the theory of the logarithms? Thereupon Galois refused to explain some propositions concerning logarithms. He said that it was completely obvious! This was apparently the dot on the i: He failed the examination." Condensed chapter from Men of Mathematics by E. T. Bell (1937), published by Simon and Schuster Pub. Co. DTH. This book is in the Math Lounge. "In all the history of science there is no completer example of the triumph of crass stupidity over untamable genius than is afforded by the all too brief life of Evariste Galois." Evariste Galois, 1811-1832 By Laura Toti Rigatelli, John Dento A 25 page excerpt from the Google bookshelf. "It is only a slight exaggeration to say that the myth of Galois is the first and primary story that novice mathematicians learn about being a mathematician." Encyclopædia Britannica You need access to UR's library to view this article.